Next in line for an apology is Petronas. 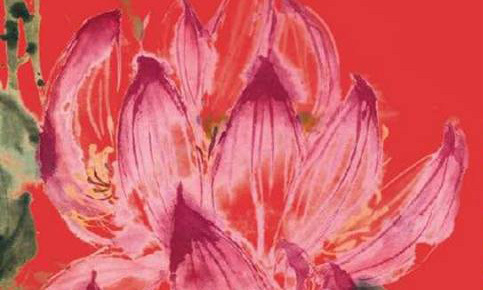 The brand had initially produced a lightly coloured ang bao, based on design from its original artwork from Galeri Petronas art collection. The image was said to be depicting a “new dawn and hopes for the new year”. Unfortunately, the initial light colour palette, which many thought to be white, did not please the Chinese community welcoming in the year of the dog. White, as pointed out by several netizens, is the colour given to show sympathy. Red on the other hand, is congratulatory. The brand has since reproduced the ang baos in red. The comments on Facebook however show a split in support. 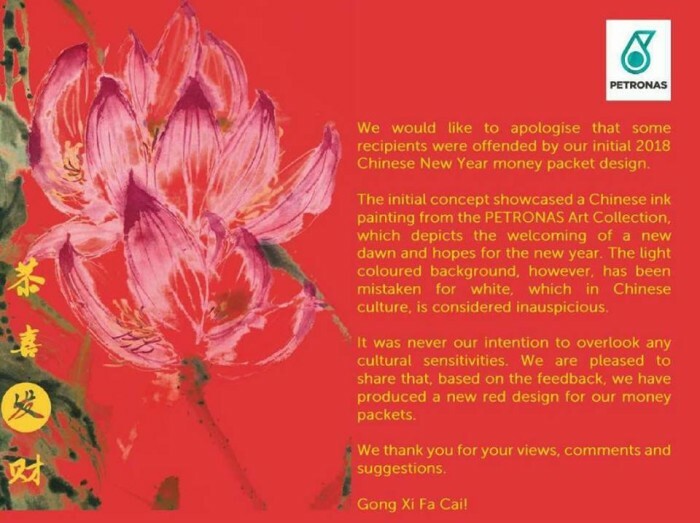 While several are outraged by the move with one netizen stating that it was “really shameful for a big organisation like Petronas to not to understand such simple Chinese customs”, others commented on the design’s beauty. Meanwhile, running online is also Petronas’ annual Chinese New Year ad which showcases a car journey taken by a father and son to their family home for Chinese New Year. The pair eventually get into an argument, but reconcile along the way after reminiscing about their past shared experiences. The ad garnered over 8,500 shares at the time of writing and garnered the love of netizens in Malaysia. The digital growth agency, which has three offices in Jakarta, Kuala Lumpur and Singapore, has brought on board Stephen Mangham, K..